Summer will officially be here in less than a week. You know what that means? Time for lots of barbecues, pool parties and lots of outdoor time! I'm so excited to be outside and soaking up the sun. There's nothing like relaxing outside with your family and why not enjoy it with a nice cold beer? Although I'm not a huge beer drinker, I do love to have the occasional beer when it's really hot out or when I've been working on the yard. I was recently introduced to Rickard's Radler Grapefruit. You guys, this is such a great drink and perfect to sip on during those hot days. You all know I'm a fan of Rickard's, so when I had the opportunity to try their Radler Grapefruit, a lightly flavored beer that was flavored with grapefruit, I was thrilled. Even if you're not a beer drinker, you'll find Rickard's Radler to be crisp and refreshing with the tart of grapefruit leaving your taste buds enticed for another round. It's not as strong tasting as most beers and doesn't leave you bloated, it's really light. Rickard's Radler is combined with their traditional Rickard's Lager and refreshing lemon and grapefruit juice. At only 3.2% alcohol, it's a perfect light and refreshing drink to have this Summer. For more information about Rickard's Radler Grapefruit and other Rickard's beverages, head to www.rickards.ca. We've partnered up with Rickard's to give one lucky Just Us Girls readers a chance to win a Rickard's Prize pack. 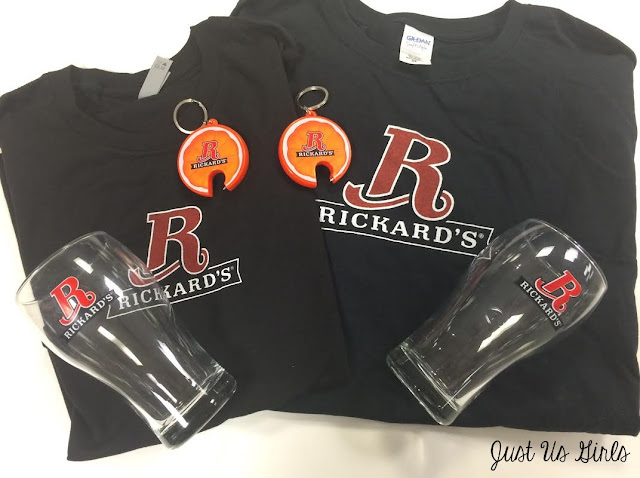 The prize pack includes, two Rickard’s T-shirts, two Rickard’s pint glasses and a two orange slice designed bottle openers. Giveaway is open to our Canadian readers only, good luck! Disclosure: All opinions are my own. 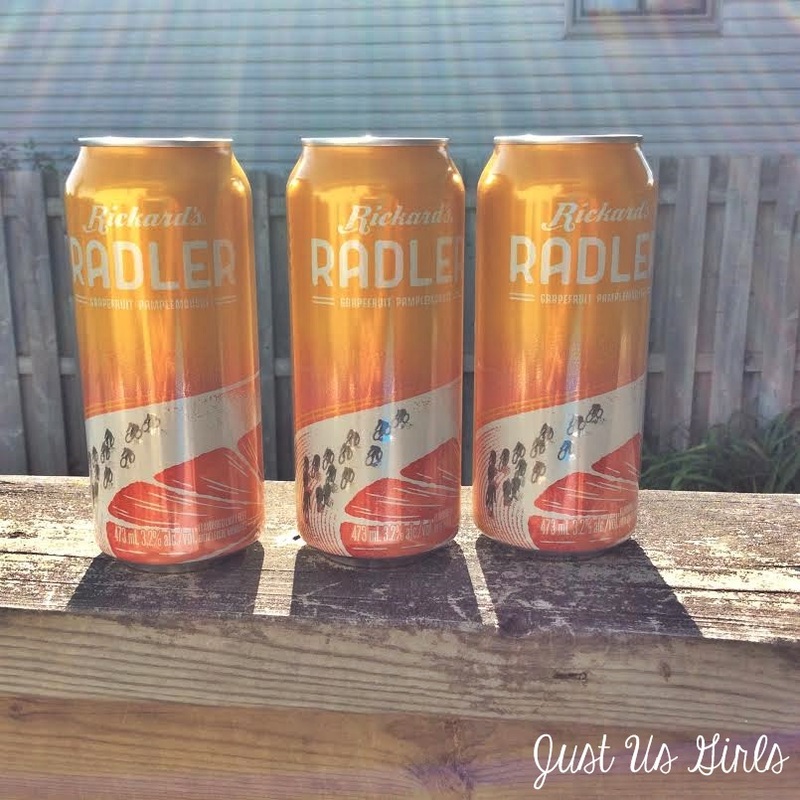 I received Rickard's Radler at no cost for the purpose of this review. No other compensation was received.